“I came close to dying…I came close to losing my mind. But I didn’t want that and so I prayed and prayed and God said ‘fight with all your might,’ ” says Jessie. 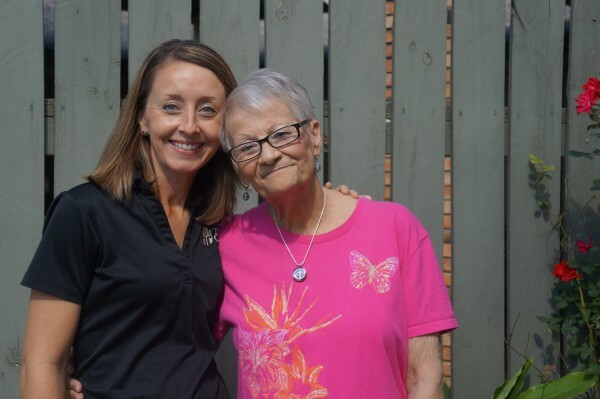 When Jessie arrived to Lakeview Manor, she was evaluated by our therapy team where it was determined she would need physical, occupational and speech therapy in order for her to return to the life she had before. Starting off in a wheelchair, our physical therapist worked with her to regain her strength and also addressed her instability with her walking patterns. Ms. Jessie expressed the need to be able to take over her finances again once she returned home so our speech therapist worked with her on signing her name and writing checks. Finally, occupational therapy addressed her ability to complete self-care tasks and daily chores. Upon completion of her therapy program, Ms. Jessie returned home. “This department gave me the strength to fight with everything inside of me,” explains Jessie. Watch her full return to home story below! Visit our website to learn more about Therapy Center’s nursing home rehabilitation services offered through our partner skilled nursing facilities. Watch more success stories on our blog!